Lee passed away peacefully on July 18, 2018 with his family at his side. He was born on August 20,1929 to Roy and Irene Chesnutt in Glendale, California. He briefly lived in Glendale until his family moved to Tahoe in the Homewood area where they lived until coming to Napa in 1937. Lee met the love of his life, Charlotte Imrie, when he was a sophomore at Napa High. 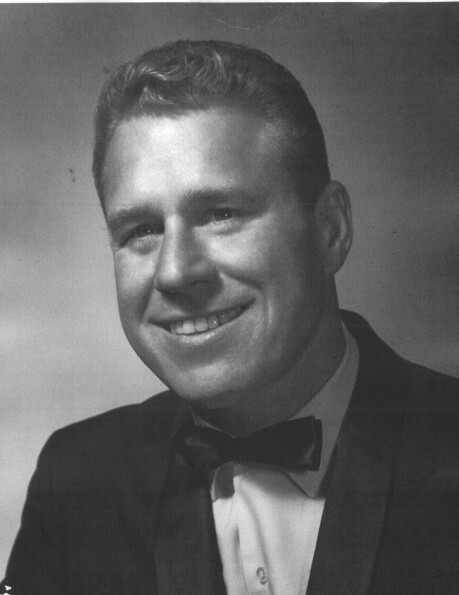 He graduated from Napa High in 1948 and married Charlotte in July 1952. Lee worked very hard early on and achieved the honor of being an Eagle Scout. He was also an incredible athlete in football, basketball and held the pole-vaulting record at Napa High for many years. He was an accomplished golfer and was lucky enough to have made two holes-in-one. He was passionate about all his endeavors and was an incredible outdoorsman. Hunting, fishing and golfing were his favorite hobbies and Lee was a master at teaching his children a respect for nature and its beauty. He told his children many times that church is held in the beautiful outdoors that God created for us. Lee was a successful businessman in Napa and ran 3 businesses: Napa Valley Properties, The Chesnutt Insurance Agency and Napa Valley Property Management. He contributed a great deal to the Napa Valley community being active in the Elks Lodge of Napa and The Napa Boys and Girls Club. Lee also achieved the great honor of being the Exalted Ruler of the Napa Elks Lodge in 1969. Lee was the best father and friend that a child could possibly have. He loved his wife and family dearly and taught his children respect and love for others, along with good family and work ethics. He was a true “man’s man” and loved this country and showed his patriotism every step of the way. He travelled the world with Charlotte and during one cruise they even won the dance contest. On that same cruise Lee got first place in a trap shooting contest. Lee’s friendships meant the world to him and he spent a lot of time with his friends, whether it was golfing, hunting, fishing, scuba diving or just entertaining them at the Family home. He loved people and was amazing at relationships. Everywhere he went, people were drawn to him, his beautiful smile, magnetic personality and great talent at telling the best jokes. Lee cared deeply for people and showed this caring in his business dealings along with his everyday life. Lee leaves a legacy of fun, love and happiness! He was always there for his family and often kept us laughing. We all enjoyed the great times together. Words cannot express how much we love him and will miss him, but with God's Grace we will join him again. Lee is survived by his loving wife of 66 years, Charlotte, daughter, Lynda Geohaghen (Steve, recently deceased), daughter Lisa Lyon (Steve), and son Brad Chesnutt (Julie), along with grandchildren, Jennifer Veilleux, Timothy Lyon and Kelley Chesnutt. Lee is also survived by his sister, Denise (Chesnutt) Smith and two nieces, Michele Taule and Darci Hanrion. Lee’s internment will be privately attended by family. An Irish Wake will be held in remembrance at Tulocay Cemetery on August 25 from 12 noon to 3 pm. Please join us to Celebrate this Amazing Man’s life. We want to thank the wonderful staff at Ponte Palmero in Cameron Park for enjoying Lee’s specialness, with warm and loving care in his last years. In lieu of flowers, contributions to Snowline Hospice of El Dorado County would be greatly appreciated. What an amazing organization!